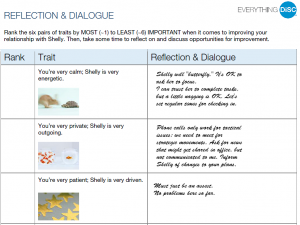 The Everything DiSC Comparison Report is an additional 11-page free report you can run for pairs of people who have already taken an Everything DiSC profile: Workplace, Sales, Management or Work of Leaders. 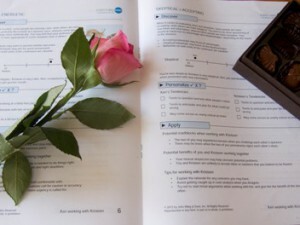 Each of the paired people receives his or her own report comparing one to the other person. The report reminds them of their results and provides specific information about how each compares to the other. This comparison is presented both through visuals and through narrative explanations. It’s available in English or Spanish. If you manage DiSC reports for your organization, you can run Comparison Reports through your EPIC administrator account. If you’ve taken the DiSC profile, you’ll need to contact the person who ran your initial DiSC report (probably the one who sent you an email asking you to complete the profile) and request a Comparison Report. Two employees are frequently in conflict. A manager gets a new direct report. Two people have been asked to work together on a new project. These are examples of when the Everything DiSC Comparison Report can prove its worth. Tips are provided for working more effectively with the other person being profiled. These are very specific and are a great way to initiate discussions around issues that might be harder to address outside this formal structured report. Comparison Reports can only be run for pairs, but many of our clients have run reports for groups, e.g., A to B, A to C, B to A, B to C, C to A, etc. If a facilitator is presenting these reports, we suggest that the facilitator also uses the Group Culture Report which helps you understand needs, goals, fears, emotions and behaviors within a group’s culture. It does not show participant names and is designed to be distributed to participants for training and group discussion. DiSC is often used in counseling situations, marital counseling, relationship counseling, life coaching, job coaching, and more. This report can be very revealing of possible stressors for a relationship. The example above highlights an obvious one. It provides a way of addressing issues without judgement since DiSC does not value one personal style over another. 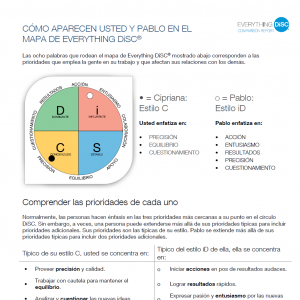 Once you’ve taken an Everything DiSC assessment, it’s likely that you will also be able to create a MyEverythingDiSC account. (Assessment administrators control access to this service.) You will be able to invite others to compare DiSC styles, create group style maps, and accept invites to compare from others. The video below will give you a quick overview of what you can do with the My Comparisons section of MyEverythingDiSC.com. I and my new assistant, Drci, have each taken the online test today. I have each report, but am looking for the report that compares our responses to see how we’ll work together. Am I missing how to get this? 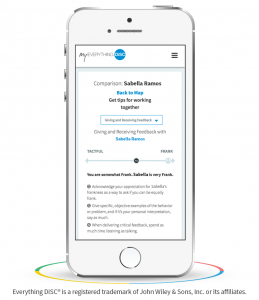 The Comparison Report is an additional report that is created separately from your Everything DiSC assessment. If you have an EPIC account you can create your own Comparison Reports. Or you can ask your DiSC administrator to run the two reports for you. It’s free, but it’s not part of Everything DiSC Workplace, Management, Sales or Work of Leaders assessment. It uses data from those assessments, but it’s not integrated into those reports. 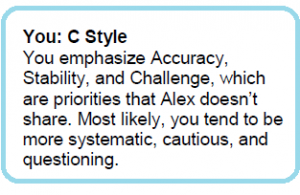 If you’ve been given access to MyEverythingDiSC.com you can request that another person who has taken an Everything DiSC assessment share their information with you so a Comparison Report can be created. 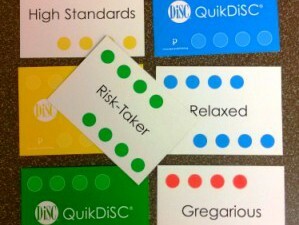 The link to MyEverythingDiSC.com would either be in the original email sent to you with the code for taking the assessment or it would have appeared on the final screen after you took your assessment. 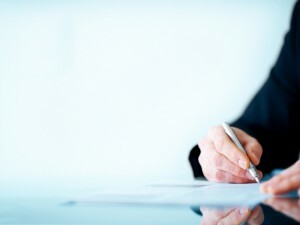 If you purchased the two assessments yourself without getting an EPIC account, you can contact the Authorized Everything DiSC Partner from whom you made the purchase and request that they create the Comparison Report for you or give you access to MyEverythingDiSC.com so you can do it yourself.